When it comes to designing and building new pools, Shoreline Pools is the right choice. 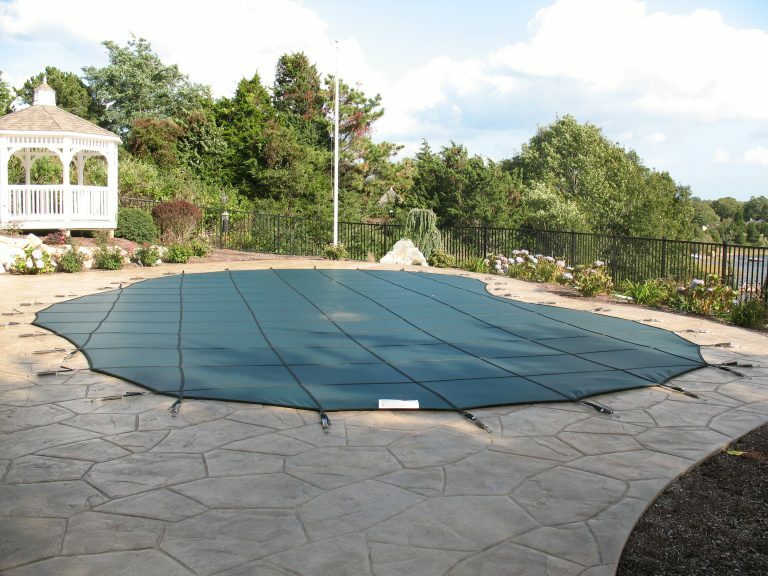 Since opening in 2006, Shoreline Pools has quickly established itself as Cape Cod’s finest pool design and installation firm. We’re also its largest. We have the experience and expertise to create the pool and outdoor space you’ve always wanted. Have limited space? Or a challenging space? That will prove no problem when you work with Shoreline. We start with a consultation and review of the space where you’d like your pool located. We discuss design options – for the both the pool and the decking area – and we listen. We want to know what you’ve envisioned, how you think you’ll use the space, and how often you think you’ll entertain. Once we have a clear vision of what you want, we’ll create and present you with an exact 3-D rendering of your pool in your back yard that allows you to see the project come to life before ever breaking ground. Let us show you why we are Cape Cod’s finest swimming pool installer and servicer. Does your existing pool have an outdated look? Do you wish the area surrounding your pool offered additional options for entertaining and relaxing? Does your utility bill spike dramatically when you open your pool for the season? Is your pool leaking and in need of major repairs? If you answered ‘yes’ to any of these questions, Shoreline Pools can help. In addition to designing and building new pools, Shoreline also renovates existing pools. If you think your old pool looks like it belongs at a roadside motel, let’s talk about reinventing its deck. If you’d love to entertain poolside but just don’t have the amenities, let us add a fire pit or outdoor kitchen, and LED lighting options. You’ll be amazed by what we can create with even a relatively small space. And if you dread the arrival of June’s electric bill, let’s talk about installing some of today’s energy-efficient equipment. We can do simple upgrades or complete backyard transformations. Shoreline Pools can make your drab, outdated pool look brand new. All of our service technicians are CPO certified to work on commercial swimming pools, and we handle all types of repairs. No job is too big or small. Our highly trained service staff has many years of experience, allowing them to find the problems and repair them. No matter what the problem is, we can fix it. We have a wide variety of options when it comes to your pool or spa care. With weekly or bi-weekly visits, our staff will ensure that your pool is ready for fun and relaxation. Let us do the work so your only worry will be what the weather is doing. Call our service department for options. We have several options for pool openings, whether just a one-stop visit to get operational, or getting the pool completely clean and balanced over multiple visits. We also offer closings to make sure your pool or spa is secured and winterized properly for the off season. 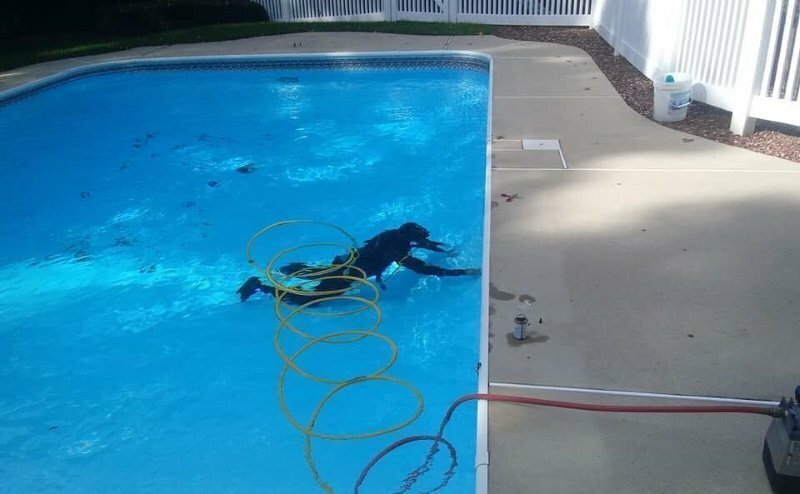 Is your pool in need of a new liner? We use 27-mil replacement liners along with all new white goods and gaskets. Let us show you why we are the Cape’s leading liner installer. 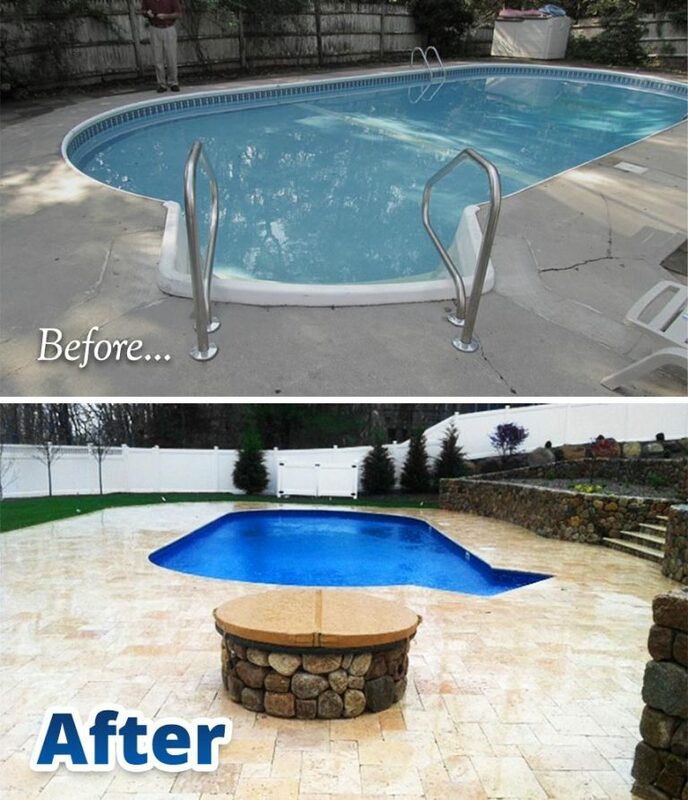 Call us today for a free quote or email jamie@shorelinepoolsinc.com. Every new pool installed today has a salt chlorination system. Is your pool in need of an upgrade to salt? Call us today to discuss the benefits of changing to salt chlorination. Being a Hayward Pool Equipment dealer gives us access to the best products available in the swimming pool industry: pumps, heaters, filters, safety equipment and more. Let us bring back the original color of your pool with acid washing, which removes metal and calcium staining from your gunite surface. We offer free delivery of chemicals or parts Cape-wide. Because our maintenance staff travels all over Cape Cod on a daily basis, you can get you what you need quickly, saving you the trip. With a wide variety of specialized equipment to help us find and isolate leaking issues, Shoreline Pools offers expertise leak detection. Please click this link for more detailed information. Our maintenance clients have peace of mind over the winter months knowing that we visit regularly to check on water levels and make sure the winter covers are secure. When needed, we will pump the pool down to protect coping and tile from ice damage or over flowing. Our retail location is at 32 American Way in South Dennis, MA. We offer a complete selection of chemicals for pools and spas, along with equipment and parts. 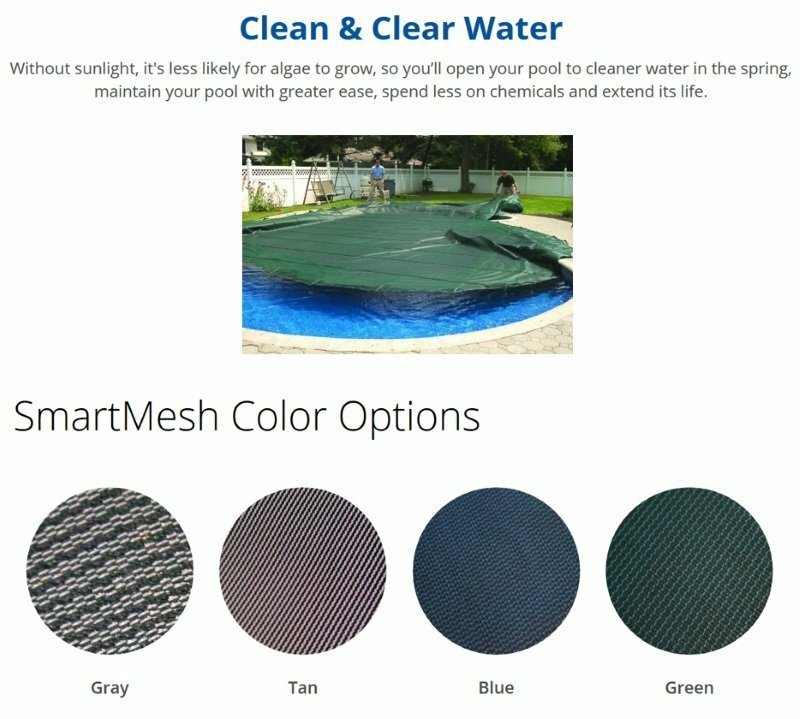 Shoreline Pools offers the best quality pool cover made, the Merlin SMARTMESH™. Whether a new installation or replacement of an older cover, we have you covered with four colors to choose from. Contact us today for a free quote. At some point, you may suspect that your pool or spa has a leak. A change in the water level can be caused by a variety of things and is not always related to a leak. Heavy usage, a dramatic change in air temperature, turning on the pool’s heating system and human error can all lead to a change in water level. But so can a leak. At Shoreline Pools we have the experience and up-to-the-minute training that allows us to determine whether your pool is leaking and where the leak is, then ultimately fix it. Have questions? Please review the FAQs on leaks below or contact us with any questions or to schedule a leak search. I think my pool has a leak, but I’m not sure. How do I confirm it? Once the water in the bucket has settled, mark it with tape, or a pencil or marker. Between 12 and 24 hours later, check the water level in the bucket. If the water levels in both the pool and the bucket are within a 1/4 inch of each other, a leak is unlikely. If the water level in the pool is more than 1/4 inch lower than the water in the bucket, a leak is likely. Is there anything I can do to narrow the leak search process? Yes. Collecting information is critical to finding leaks and can shorten the time it will take for us to detect and repair one. The first step is to check for obvious leaks. Check the area around the filter for any spots that remain wet all day. If your filtration has a waste line, check the end of it for any leaking water. Your filter runs an average of 8-12 hours a day, seven days a week, so even small drips can add up substantially. If there are no obvious signs of leaking, try shutting off the filtration system for 24 hours and gauge if that causes any less or more water loss. Keep a log with this information, dating each entry. It can greatly assist our team’s effort in finding a leak and expedite the repair process. It also gives us a starting point in determining which other systems need to be checked.